You’ve seen the headline a number of times: Quality, Price and Service – at the mechanic shop, grocery store, even your favorite restaurant. Well, Myrtle Beach golf courses are no exception and it explains why $25 tee times are not available year around. For our purpose quality is defined as a premium type Myrtle Beach golf course and service is defined as preferred tee times. Let’s break it down. Let’s use a group of 8 golfing buddies that are planning a Myrtle Beach golf package for early April as our example. The group wants to play the best Myrtle Beach golf courses with tee times between around 8:00- 8:30am. They’ve chosen quality and service for their Myrtle Beach golf package. To lock-in the courses they want at the time they want, the price is non-negotiable. On the other hand, you can take a group of golfers that select their accommodations ahead of time to ensure the perfect place to stay, yet they will wait until just before they arrive for their Myrtle Beach golf package to take advantage of the 48-hour tee time service. With this option, they will more than likely get the best price, but the premium courses might not be available at their optimal time selection. To get the price they want, the group sacrificed the tee times (service) and possibly premium courses (quality). While it’s hard to imagine why one would book a Myrtle Beach golf package and risk not playing the courses that you want by waiting til the last minute to book your tee times, it does happen. 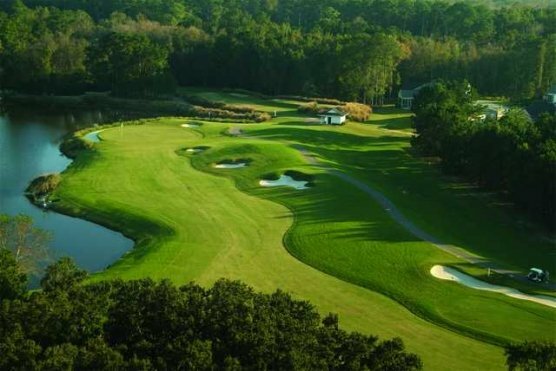 One thing to remember about Myrtle Beach golf – it is already one of the best deals in golf around the country. The value is outstanding. When you use Myrtle Beach Golf Authority, we can find you some great courses that will fit in your budget to deliver the best Myrtle Beach golf package you will find.